Password Self Service Login Agents - Reset Password from the login Screens of Windows, Mac OS X, Outlook Web Access, Citrix Web Interface and Sharepoint. With web‐based password self‐service, end users need not rely on administrators or helpdesk technicians to reset their passwords or unlock their accounts anymore. But there is still a small element of dependency involved: an end‐user needs to borrow someone else’s computer to access the self‐service portal. To overcome this shortcoming, ADSelfService Plus has login agents, which can provide access to the self-service portal from the login prompts of various systems and applications. ADSelfService Plus login agent for Windows eradicates dependencies on other users’ computers by allowing end‐users to reset password/unlock account directly from the Windows logon prompt itself. The login agent can be deployed to users' machines from the ADSelfService Plus web portal itself, or through GPO or SCCM. The ADSelfService Plus login agent for Windows is basically a modified version of MS GINA/Credential Provider, which adds a Reset Password / Unlock Account link on the Windows logon screen. The link text, icon, button, etc., are completely customizable. ADSelfService Plus login agent for Windows supports OS versions from XP to Windows 10. Learn More. 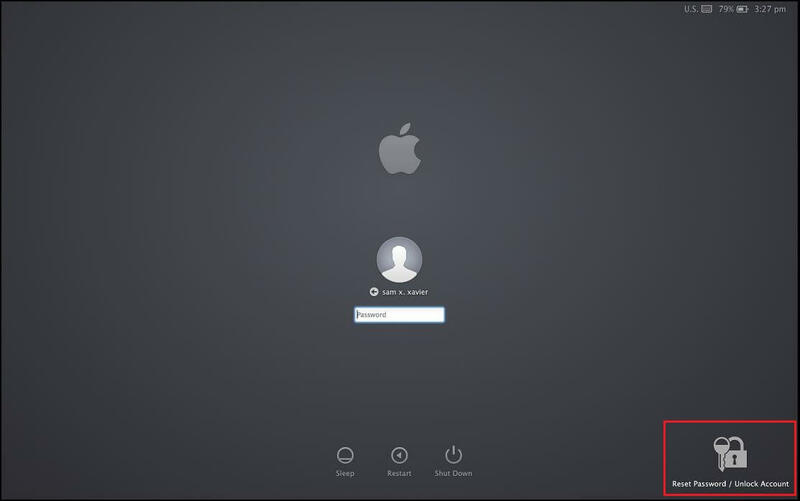 In a large Windows-based organization it is not uncommon to find computer systems running on Mac OS X. ADSelfService Plus comes with a login agent for OS X, which places a Reset Password/Unlock Account button on the Mac login screen. The login agent is similar to the GINA/Credential Provider agent in Windows in its functionality. Linux, an open-source OS, is one of the most popular OSs among users. When Linux OS users forget their Active Directory (AD) passwords, they usually have to call the IT help desk for assistance, affecting their productivity. 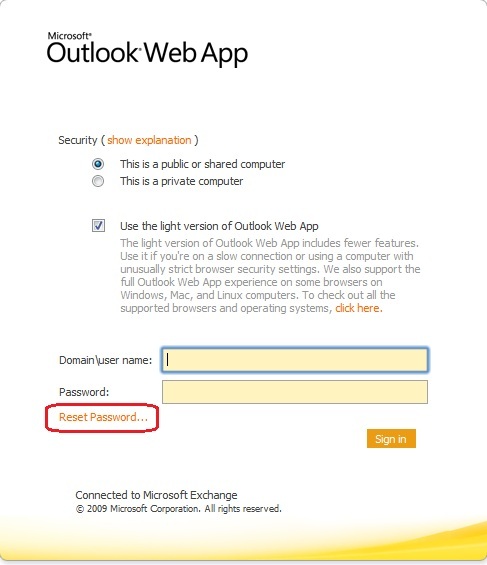 When people are out of their corporate network, they are forced to access their Exchange mailboxes using Outlook Web App (OWA). But what happens when those users forget their passwords? They lose access to important emails and end up calling the IT help desk for password reset. To avoid such situations, ADSelfService Plus supports OWA integration to provide remote users with self-service capabilities. When integrated, ADSelfService Plus places a Reset Password/Unlock Account link on the login page of OWA through which users can reset their passwords and quickly gain access to their Exchange Mailbox. Refer this guide for more info. SharePoint is a web application platform developed by Microsoft. ADSelfService Plus can be published as a Web Part in a SharePoint site to give users quick access to the self-service portal. Users can update their profile information, change their domain passwords, subscribe to groups and search for their colleagues contact information by logging in to the self-service portal. Integrating ADSelfService Plus with SharePoint also places a Reset Password/Unlock Account link on the log in page of SharePoint to help users reset their forgotten passwords or unlock their accounts. Citrix Web Interface is a web-based client that provides access to published applications or desktops through a standard web browser. It is mostly used by users working from remote site to gain access to internal applications or desktops in their organization. To equip such users with password self-service capabilities, you can integrate ADSelfService Plus with Citrix Web Interface. Once integrated, a password reset/account unlock link is placed on the log in page of Citrix Web Interface. Clicking this link will start the ADSelfService Plus password reset wizard through which users can reset their forgotten passwords and unlock their locked out accounts immediately.